March 9, 2018 by Caleb Johnson. I finally got a chance to watch Ric Burns' "The Pilgrims" that came out on Thanksgiving while I was traveling in England. My preview screening that I was told I'd be getting never arrived. Anyway, now that I have seen it, I thought I should share a few thoughts. The documentary is very well done, and I would encourage anyone with an interest in the Pilgrims to watch it. Its focus is primarily on William Bradford and the history of the Pilgrims as told by the Bradford manuscript "Of Plymouth Plantation." It follows the development of the Pilgrim church in England, through their time in Holland, and ultimately their first couple decades in America. Shot in close collaboration with the Plimoth Plantation Museum, there is plenty of great footage of the Mayflower II and the reconstructed Plantation. There are numerous dramatic readings from the Bradford manuscript, which are well chosen and placed within the narrative. Numerous interviews throughout with historians (Nathaniel Philbrick, Nick Bunker, Sue Allan, John Demos, etc.) add context, and light background reenactments contribute to the historical context. Candle-lit scenes seem to dominate throughout. It is a very well done documentary that is respectful and accurate to the history of both the Pilgrims and the Wampanoag. It is a little weak in its coverage of the Pilgrims' time in Leiden, missing entirely the Pilgrims' publishing of pamphlets and books on the Brewster printing press, for example, up to the publication of Perth Assembly and the trouble that nearly got them into. Of course I would be remiss if I did not call out a few of the extremely minor historical inaccuracies that I noted as I watched. Again, very minor points that have little bearing on the overall story being portrayed, but worth pointing out nonetheless. Christopher Jones is twice referred to as "Captain Jones" when he should be referred to as "Master Jones." Captain was a military designation. One of the historians commented that the Pilgrims' rejected the church hierarchy of "bishops, priests and deacons." The Pilgrims rejected the church hierarchy of the pope, cardinals, bishops, archbishops; but they maintained pastors and deacons (as well as elders and teachers). It was said the "First Encounter" fight with the Indians on Cape Cod lasted "for hours." That seems rather dubious; when I read the original account it sure sounds like it lasted only a few minutes. I'm pretty sure I heard someone say the Pilgrims' common house was "21 square feet." I don't think the size of the common house was ever recorded anywhere, but I am quite sure it was bigger than a dollhouse. Maybe I misheard and they said "21 foot square", I didn't bother to go back and find it to double-check my hearing. 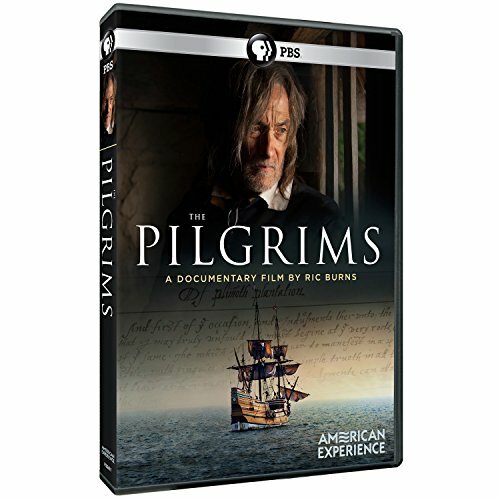 Below is a link to the Amazon order page for the DVD version of "The Pilgrims". It is well worth the price of admission if you have any interest in the history of the Pilgrims. January 3, 2016 by Caleb Johnson. We left Nottinghamshire in the early morning, and made our way south to the town of Dorking, Surrey, England. This was the home parish of Mayflower passengers William, Alice, Priscilla and Joseph Mullins, as well as Peter Browne. William Mullins was a shoemaker and operated his business out of, and lived at, the four-unit house in Dorking shown below. On the backside of the Mullins house, where tourists rarely go, is the residential portion of the house, containing three units that are on 350-year leases. The church the Mullins family would have attended is less than a five minute walk away. At present, the middle unit was the only one not currently leased out, so the property owner was able to show us around inside. When this unit was being renovated, some wall art was uncovered (which an art historian dated to about 1590-1610). This art would almost certainly have been here when Priscilla Mullins was living in the house. The horse is running away, and the art historian felt that there was a red building, perhaps on fire, to the right. Since this wall mural will soon be inside a private residence, this will be one of the last times it will likely be seen in any public capacity, so being here was a real treat. You will also notice in this picture I am holding a piece of wood. This wood was a gift from the Mullins property owner to me: an original but decayed oak plank that was removed from the house during its restoration in 2011-2012. On Wednesday, November 25, Simon and I got up at 5AM to embark on a 4.5 hour drive up north to Nottinghamshire, the origins of the Pilgrims' separatist church congregation. We met up with our guide for the day, noted author and historian Sue Allan, at the church of All Saints, Babworth. This is the church where Richard Clifton preached from 1586 to 1604, at which point he was deprived. At one time, this church was within the bounds of Sherwood Forest. The Great North Road was a pathway, a section of which joined Babworth to Scrooby. Elder William Brewster would have traversed this path to attend Babworth services to hear Richard Clifton. He would sometimes re-tell the sermon to those in Scrooby--for which he was once fined, since that was illegal. Brewster, in his role as postmaster, would have also been responsible for assisting those traveling this section of the road for delivering royal communications. Some sections of the original pathway are still present today, such as this segment just outside of All Saints, Babworth. The church of St. Wilfred, Scrooby, formerly St. James, is the home parish church of William Brewster. Although the parish registers do not exist that far back, this is quite likely the church where Brewster married, and where his children were baptized. Inside the church at Scrooby remains a couple of the original church pews upon which the Brewsters and other churchgoers would have sat. One of the "Brewster pews" was gifted to the Pilgrim Hall Museum, where it is on exhibit. The others are here, where I took the liberty (not allowed at Pilgrim Hall!) to actually sit on one! Next we visited the site of Scrooby Manor, now on private property and not generally accessible without special arrangements. The only remnant of the once great manor estate is the building shown below. Out in the fields, it is possible to still see the depressions that once were the fish ponds. William Brewster was bailiff of Scrooby Manor, and would have lived on the site. It was here that the Pilgrims' separatist church congregation was able to meet in secret, from about 1604 to 1607, before being forced to flee to Holland. A short distance away is the property and house that is believed to have been owned by the Bradford family, and may have been the estate where young William Bradford was raised by his uncles after his parents died while he was still a young boy. Now private property, it can only be photographed from the public sidewalk at the end of the driveway. The church of St. Helena, Austerfield, was the home parish church of the Bradford family. Several generations of William Bradford's ancestors were baptized, married, and buried here. Inside the church, the original baptismal font is still present, where the infant William Bradford was baptized on 19 March 1589/90. Since Scrooby Manor no longer exists in its 'full glory', the nearest analogue (and perhaps even somewhat less opulent) is nearby Old Gainsborough, which would have had a similar layout and floorplan. Inside the Great Hall at Gainsborough. This is where the separatist congregation led by John Smyth first met. Like the Pilgrims, they would also flee to Holland about the same time, but they would remain in Amsterdam under Smyth, instead of moving on to Leiden with Pastor John Robinson. Smyth would eventually 'switch' to Anabaptistry, to the horror of the Pilgrims and Richard Clifton, becoming an early founder of the Baptists. December 3, 2015 by Caleb Johnson. In the morning we made the 30 minute drive to the parish church of Upper Clatford, where Stephen Hopkins was baptized in 1581. 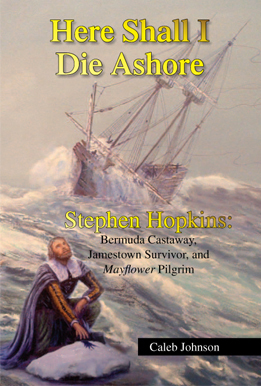 The discovery of the baptism of Stephen Hopkins in their church was only made within the last decade, but the church has clearly adopted their Mayflower member with more pride than most. Knowing we were coming, some of the church turned out, served us tea, coffee and cookies, gave us a full tour and history, and we shot some interviews and documentary footage there that hopefully will turn out very nice. I signed and gave them a copy of my Hopkins book, which was graciously received. One of the individuals on the documentary team was Christian Wessling, a Wampanoag tribe member who was, like me, visiting England for the first time, and (also like me) touring England to see where some of his people went--in particular following the path of Squanto. It was an honor and treat for a Mayflower descendant such as myself, to spend Thanksgiving week with a Wampanoag, traveling through England. I had just a few weeks earlier discovered the actual site in London where Squanto was held, which he was able to visit first-hand after managing to talk himself inside! I would anticipate this would be a highlight in the documentary for sure. After finishing up at Upper Clatford, I pointed out that on the way in we had passed the Norman Court Farm, which early manorial records indicate was the location where the Hopkins and Williams families held some farmland. The church members helped us get in touch with the land owner, who graciously allowed us inside one of the magnificent old barns on the property. What a treat! After departing Upper Clatford, we headed to the town of Hursley, which is where Stephen Hopkins likely married his wife Mary, and where his children Elizabeth, Constance, and Giles were baptized. Mary's family had owned a tavern/inn within Hursley known as the Star Inn. It was apparently torn down at some time in the 18th century, but a nearby tavern/inn, likely of similar nature, still survives today, known as the "The Dolphin." The "Star Inn" was originally located just across the street and south a block. We ate a nice lunch here of traditional English fish and chips. From there we headed to the parish church of Hursley, which we planned to simply photograph and take some footage. Much of the church was rebuilt in the 19th century and only the bell-tower itself has some antiquity, so visually it is not what Hopkins would have been too familiar with. But it is still the same church, on the same church site, and the bell-tower was still of interest as well. As we were taking some photos and stock footage for the documentary, a woman walking a dog came through the churchyard, and Christian Wessling, our ever-social Wampanoag who could probably talk himself into Fort Knox, struck up a conversation that ultimately led us to the house of the churchwarden, who then took us up inside the bell-tower! What a special experience that was. The tight spiral staircase led up to a room where the bell pull-cords and clock were located, and then from there we continued up another level to the bells themselves. Two of the bells were from 1616, so perhaps Hopkins himself heard them ring out. At five o'clock PM on 24 November 2015, we were inside the bell-tower as the bells of Hursley church rang out. December 2, 2015 by Caleb Johnson. I am not going to bother writing a trip report for Day 1, which involved a 2 hour flight to LA, an 8-hour layover, then a 10-hour flight to London, followed by about an hour and a half waiting to get through Customs. Was graciously picked up by my UK-based records researcher, Simon Neal, who took me to my hotel so I could sleep the adventure off! The second day, we arose early and headed north about three hours to the Huntingdon Archives. On the way, we stopped for gas in Baldock, which is where Richard Warren's wife Elizabeth's parents lived. Noticing on the map that Henlow was just a few minutes away, we made a slight detour to visit the church where the Samson, Cooper, and Tilley families of the Mayflower were baptized and married. It is a beautiful church and churchyard. At the Huntingdon Archives, Simon and I attempted to find records related to the Howland family that had not yet been noticed. To accomplish that, we searched through various records classes from the time period that were less-frequently searched, such as manorial records, churchwarden accounts, and wills of other people who lived in Fenstanton who might have mentioned the Howlands in passing. We turned up four different records. We are working on a report for the Pilgrim John Howland Society, wherein these results will be published. Here is Simon reviewing a 1614 Court Roll, which has some Latin entries that relate to Henry Howland, the father of John Howland. Around 3PM, after six hours of records research, we headed back to London, where we jumped on a train to head to Rotherhithe, a parish in central London along the Thames, which was the home parish of the Mayflower's master, Christopher Jones. We met up with a documentary film crew working on a PBS series, "Hit and Run History." We met for dinner at the Mayflower Pub, which is traditionally said to have been the property off which Christopher Jones moored the Mayflower from 1611 through 1623. Across the street is St. Mary's, Rotherhithe, the churchyard within which Christopher Jones would have been buried (no markers from that period survive). After dinner, we drive about two hours to Ampfield, Hampshire, where we lodged for the night in preparation for Day 3, a tour of the Stephen Hopkins' sites in Upper Clatford, Winchester, and Hursley. I am excited to report that I will be in England for Thanksgiving week. I plan to spend a day at the Huntingdon Archives with Simon Neal researching some Howland family records for a project commissioned by the Pilgrim John Howland Society. Then, in support of a documentary that is being filmed, I will make a visit to Upper Clatford, Winchester, and Hursley locations (Stephen Hopkins related sites). After that, I plan to do a tour of the Scrooby/Gainsborough/Austerfield/Reford locations (where Brewster and Bradford were from, and where the Pilgrim church formed), and for Thanksgiving Day plan to be at the 'Illuminate Day' event there for some of the 'warm-up' activities that have already started in preparation for the 'Mayflower 400' anniversary in 2020. It appears I might get behind-the-scenes tours (not generally open to the public) of both Scrooby Manor and the Mullins House in Dorking. And, if time permits, I plan to spend a half-day at the National Archives with Simon Neal, and perhaps a bit at the Merchant Taylor's Hall in London and the Mayflower Pub. Assuming I can muster up the required network connectivity, I do plan to tweet pictures throughout the trip at various 'Pilgrim sites', so please follow me on Twitter if you have any interest in seeing those pictures. November 16, 2015 by Caleb Johnson. September 7, 2015 by Caleb Johnson. 8 July 2015: Legislative bills have been introduced in the U.S. House of Representatives and U.S. Senate (House Bill 2890 and Senate Bill 1715) to produce commemorative gold and silver coins. Titled the "Mayflower Commemorative Coin Act", the bill requires the U.S Mint to produce not more than 50,000 gold $5 coins (90% gold, 10% alloy) and not more than 100,000 silver coins (more than 90% silver). Designs selected must be "emblematic of the arrival of the Pilgrims", and contain the date 2020 and 1620, in addition to the usual "Liberty", "In God We Trust", "E Pluribus Unim", and "United States of America". The design will be selected by the Secretary of the Treasury in consultation with the Commission of Fine Arts, the General Society of Mayflower Descendants, and the Citizen Coinage Advisory Committee. $35 of each gold coin and $10 of each silver coin sold would be turned over to the General Society of Mayflower Descendants to be used for educational programs. Coins will be legal tender, but are considered numismatic items since the value of the gold (8.359 grams) and silver (26.73 grams) will far exceed the $5 and $1 face value. July 16, 2015 by Caleb Johnson. Sandwich Town Records During the Time of Plymouth Colony, 1620-1692. May 23, 2014 by Caleb Johnson. The autumn 2013 issue of the Mayflower Descendant shipped a few weeks ago, but due to travel schedule I am just getting around to noting it here. The issue cover is artwork by noted maritime artist Mike Haywood, whose paintings are available for sale on this site and who also did the cover artwork for three of my books. The issue includes many new record transcriptions, including additions and corrections to the published Duxbury Town Records, a continuation of the unpublished Marshfield Town Records, and some previously unpublished 17th century Quaker records from Plymouth Colony (mostly Marshfield, Duxbury, Scituate, Hull, and Pembroke). Also continued are transcriptions of the "Brewster Book" manuscript (more alchemy notes from Jonathan Brewster), a reexamination of a Wrestling Brewster hoax, a Scrooby Manor inventory from 1534, a genealogical article on Jabez and Zilpah (Hooper) Warren, and we complete the occasional Leiden church-member Sabine Staresmore's 1619 book The Lawfulness of Reading in Prayer. April 13, 2014 by Caleb Johnson. Added a new Sources/Bibliography page for James Chilton (here). Updated the James Chilton page itself to link to the above Sources/Bibliography page, and fixed two issues. First, the marriage date for James Chilton was given as "about 1585-1586." This was actually corrected by Michael Paulick in an article in 2007 to "about 1583" based on the discovery of an additional baptism record for the couple. Second, I added the said missing child (Joel) to the list of children. Also added the name of James Chilton's mother, Edith, based on the 2013 discovery published by Jon Wardlow in Mayflower Descendant vol. 62. Added a blog-post about the Spring 2013 issue of Mayflower Descendant. In an article by Peter Evans appearing today in a wide range of newspapers including page A1 of the Wall Street Journal as well as Barrons , and commented on in USA Today , a "disagreement" between the English towns of Plymouth and Harwich is brewing. The premise of the article seems to be that Harwich believes it deserves more attention as the home of the Mayflower and her master, while the city of Plymouth in England is miffed at the additional competition to its claim-to-fame as the 400th anniversary of the Mayflower voyage quickly approaches. To engage the controversy, the reporter states "The Mayflower was built and originally set sail from here [Harwich] before making an unscheduled stop at Plymouth [England]." This is factually incorrect. 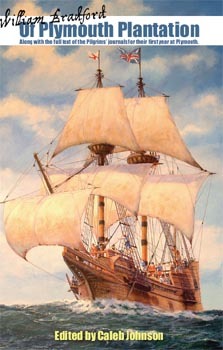 The place the Mayflower was built is entirely unknown (it could have been anywhere that built ships). 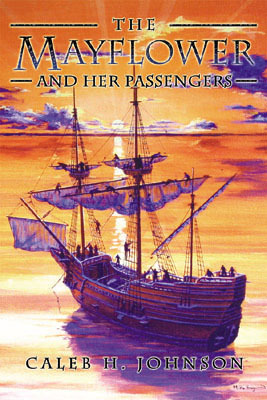 And Harwich was never on the 1620 "itinerary" of stops: the Mayflower left London, went to Southampton to get provisions, then to Dartmouth (where the Speedwell was forced in for repairs), and finally to Plymouth, England (where they gave up on the Speedwell and moved everyone over to the Mayflower and sent others home). Harwich was in no way involved in the 1620 voyage from a physical stopover perspective. The true 'claim to fame' for the town of Harwich, is as the undisputed hometown of the Mayflower's master, Christopher Jones, some of the crew (probably including cooper John Alden) and as the home port of the Mayflower from 1607 to 1611. Unmentioned by the article, or by the surrounding "controversy" is the fact that Master Jones, and the Mayflower, actually left Harwich in 1611 and took up residence in Rotherhithe, Surrey, England: a town which apparently has not managed to work itself into the controversy even though it was the true "home" of the Mayflower from late 1611 through 1620, and even through the burial of Christopher Jones there in March 1622. I am quite happy that "Destination Plymouth" is organizing a 2020 celebration in England with invitations to former and current U.S. Presidents and the Royal Family. 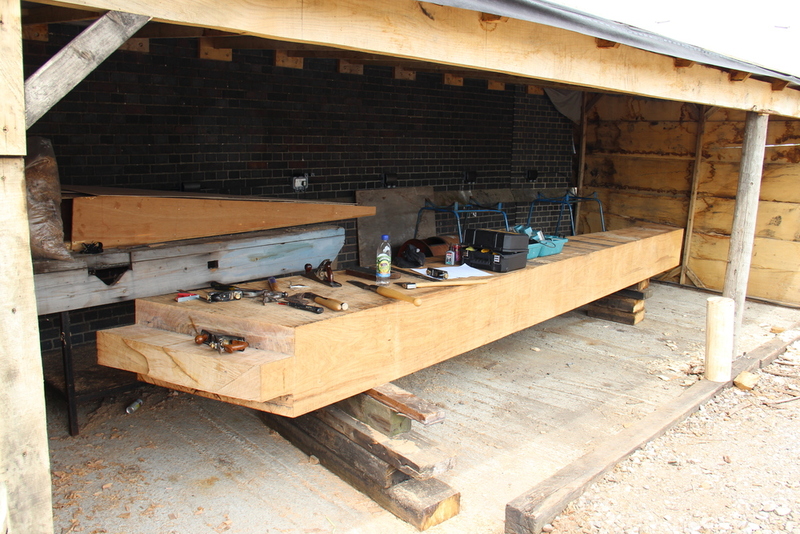 And that Harwich is building a $3.3 million replica of the Mayflower to sail as part of the celebration. There's enough room for everyone to celebrate. Let's not forget some of the other important places in England with ties to the Pilgrims: Scrooby, Droitwich, Henlow, Austerfield, Boston, Dartmouth, Southampton, Dorking, Great Yarmouth, Norwich, London, Hursley, Upper Clatford, ... the list goes on. One other correction to an implication in the article. The headline, "Maybe it Should be Called Harwich Rock," implies that the reason the Pilgrims named Plymouth was in honor of the city they embarked from in England. Actually Plymouth was named by Captain John Smith (of Pocahontas fame) in 1614 during a mapping expedition in which he applied English place names to coastal areas in New England. The Pilgrims were using his maps, made six years earlier, when they arrived in 1620. They settled at a spot labeled Plymouth on his map. June 24, 2013 by Caleb Johnson. I will be speaking at the annual meeting of the Michigan Mayflower Society on Saturday, May 10, at the Kellogg Center in East Lansing, Michigan. And I will also be speaking at the Linn Genealogical Society in Albany, Oregon, on June 1. Unfortunately this year's "Bermuda Cruise" fell a couple of cabins short of the necessary minimum, so we'll probably try again in another year or two. If you wish to remain on the "mailing list" for a future cruise possibility, please email sonnydenham@sbcglobal.net. May 4, 2013 by Caleb Johnson. Ancestry.com has been rolling out an enormously valuable resource: the original vital records of many Massachusetts towns. Searchable, no less! What a great tool for genealogists, I have already located and attached hundreds of entries to my tree and read the originals. Unfortunately, having used the feature for a little bit now, I have discovered an unfortunate issue that will undoubtedly cause thousands of incorrect dates to be posted into people's family trees, which will then live on indefinitely as people pass around and share the wrong date. The problem is simple: the transcribers for these records were apparently not aware of the calendar change that happened in 1752, and as a result they are misreading the "month" value in thousands and thousands of vital records entries, which many are adding to their family trees and sharing with others online. You see, in America, prior to September 1752, the first month of the year was March, not January. The second month was April. The third was May. The fourth was June. And so on, through the 12th month, which was February. Incidentally, that's why the "Oct" in October means 8th (like Octopus, Octogon): because prior to 1752, October was the 8th month, not the 10th month. And the "Dec" in December means 10 (like decimal, decagon, decathlon). Take a look at this example below, snipped off the Ancestry.com website. The death record of John Farrington at Dedham (first entry on the page) is recorded as "27:4:76". This translates to "27th day of the 4th month of 76." Which the Ancestry.com transcriber dutifully transcribed as "April", when actually the 4th month is June. (We can ignore the transcriber's other mistake, "24" when it is actually "27", for the sake of this discussion, since that is a human error and not a calendar misunderstanding). This is not just a one-off situation, it appears the entire Dedham records were done incorrectly, so practically every date in the entire VRs is wrong. The entire Springfield VRs appear to have been done incorrectly. The records of Cambridge are likewise all messed up. Moral of the story: Primary source records are great, but only if you can read them correctly! If you get a vital records date off an Ancestry.com's Massachusetts Vital Record collection, you should read the original record yourself, and see if they made this mistake with your ancestor too.